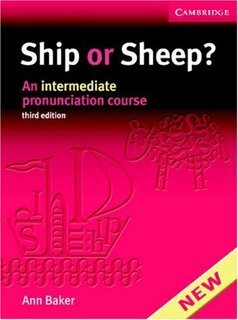 This book has been written to help you recognise and pronounce English sounds. This book contains 49 units. Each unit practises a different sound and provides a variety of activities for this purpose. Stress and intonation, as well as sounds, are important for successful communication in English and aspects of these are also introduced and practised. Can you upload these files again please? AMR WADY you running a website. Yeah this is my personal blog. Thank you a lot. Can I ask you a question? I try correctly translate from Russian into English. So, “С 13 по 17 июня 2016 года Ассоциация «Болашак» проводит республиканскую акцию «Bolashak Life». 1. “From 13 to 17 of June 2016 Association “Bolashak” conducts a republican campaign «Bolashak Life». 2. Between 13 and 17of June 2016 Association “Bolashak” conducts republican campaign «Bolashak Life». The right translation is: From 13 to 17 of June 2016, The Association “Bolashak” conducts a republican campaign, called “Bolasha life”.